Every day we observe the environment around us and our creativity generates various concepts of designs in our minds. Unless these concepts can be translated into tangible forms, they will just be a part of imagination. Ideation is the creative process of generating, developing, and communicating new ideas, where an idea is understood as a basic element of thought that can be either visual, concrete, or abstract. Ideation comprises all stages of a thought cycle, from innovation to development, to actualization. As such, it is an essential part of the design process, both in education and practice. 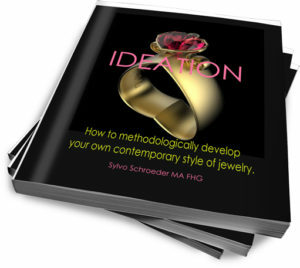 I have written this eBook for beginners as well as those who are advanced in their jewellery designing wanting to discover and learn ways of contemporary style designing. Those who are technically skilled, knowing their materials but find it hard to create an artistic product would find this guide extremely useful. We know that it is natural for us to observe the environment around us consciously, ultimately activating a creative process and generating various concepts of designs in our minds. Translating these concepts into tangible forms, and not just ending as a part of our imagination, needs a methodology. To be able to transform these ideas in our minds into reality and remove creative blocks you will find detailed methods described in this eBook supportive and to the point.What is this eBook all about? How to methodologically develop your own contemporary style of jewellery. 1) Learn to sharpen your awareness and start designing contemporary jewellery confidently – use it as a reference workbook to develop your own design language and be able to work with authority. 2) Learn how to develop interesting contemporary jewellery design ideas and be able to tackle design problems confidently. 3) Learn how to make use of the numerous guides – tips, as well as references, feature in this book, for a practical and theoretical approach, making your designing efforts visibly with a professional touch. 4) Learn how to tap inspirational sources and turn them into exciting jewellery designs. 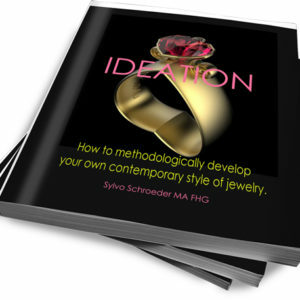 This book has no skill restriction as it takes you through the world of jewellery design “idea” development step by step. The resources section is filled with valuable information – links to important websites – links to important tools and a list of interesting books for your R+D exploration. 2) My Message to you. 3) Basics – What is Design? 4) Understanding preferences. A mindset reference that will support your thought process and strengthen your professional outlook about jewellery. 5) The origin of the term – Jewelry. 6) What makes jewellery desirable? 7) Jewellery Design trends in today’s world. 8) Let’s have a look at the different jewellery niches. 9) Cultural Influences – creativity – design ethics. Being aware of these influences is beneficiary for planning your collections. 1) Why do we need to sketch? 2)Select to learn to work with: Organic or graphic forms/shapes or both. 4) The importance of a design configuration. 7) Configuration norms of design. 5) – 6) and 7) use their full potential and manage your design building block. 8) Design Methodology a methodical approach to design problems. 1) Design problem solving – generating Ideas with support. 6 Different methods with “how to” graphics and detailed instructions. 1) Ready Made Method – A straightforward way of creating a piece with ready-made elements. 2) Questions and Answers Method – Answering set questions that inspire you to generate ideas. 3) Window Method – Exploring images and capture interesting configurations. 4) LFS Method – Working with Line, Form, Space incorporating transformations. 5) Line Method – Using Lines as design elements on the surface and 3 dimensionally. 6) PA Method – Polar array configuration method developing an interesting pattern. Methods how to compose your designs logically. Learn and implement the practical and easy “3 parts method”. 3) How to benefit from a Design Research (R+D). Discover and work through design avenues. 4) How to do scroll work. Understand how scrolls are developed and start developing them yourself. Colour choice plays an important role in selecting gemstone and metal combinations as well as the effect it would have on the skin colour of the wearer of your jewellery. Jewellery as a whole is a tremendous revenue generator of which you can be part of – maybe even setting trends in the future desired by customers wherever you are. Useful links for manual designing tools as well as recommended CAD programs. For those who would like to learn and develop impressive manual jewellery designs would value this ebook. 3)Recommended List of 77 book titles to choose from covering historical aspects as well as contemporary styles of jewelry. just let me know within a 30 – day period. 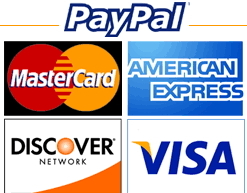 receipt date and I will refund you as soon as possible.